Many years ago, Kelli met her neighbor, Victoria, and soon to be close friend that blossomed into the founder of Biainili. They nourished their friendship over coffee and walks in the neighborhood while discussing art, philosophy and ideas on flying to the moon. After founding the line, Victoria knew she had to incorporate Kelli’s artwork. It’s been a beautiful and exciting collaboration ever since and the results are fabulous! 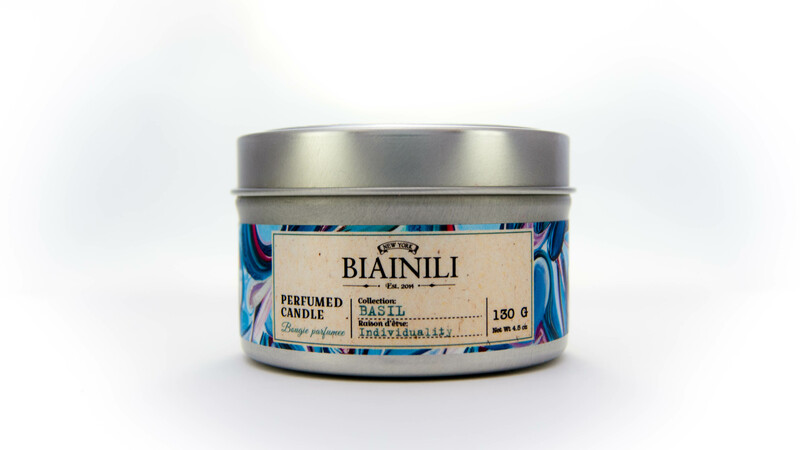 Now everyone can have Stretesky’s art on the new premium perfumed products by Biainili.There are seven sensationally, scented candles made from natural ingredients such as coconut and soy wax, essential oils and signature perfumes. Biainili breaks the mold of trends with the use of fine art on it’s all natural, Armenian-inspired product line, and it shows. 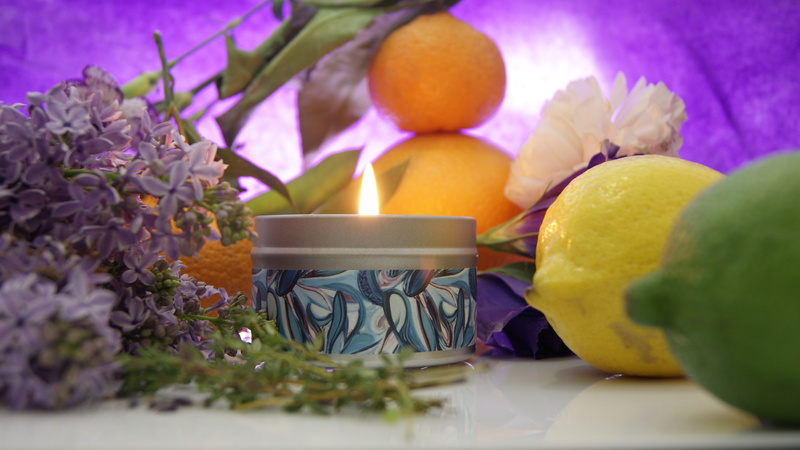 Scented candles can be exclusively found online in Biainili’s Fragrance section. Collections include Tarragon, Geranium & Rosehips, Basil, Benzoin, Fig & Coffee, Walnut & Cognac, and Armenian Pomegranate. 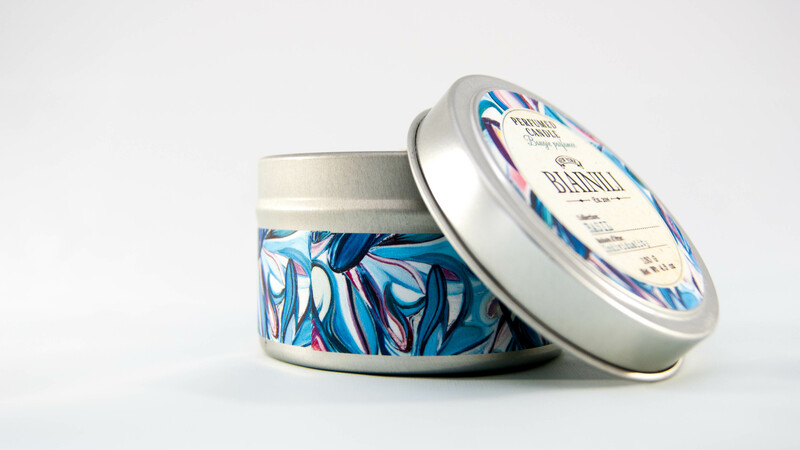 Pictured below is the wonderful Biainili Basil candle featuring the painting Journey (that is still available).